﻿ Results of the XV International Tchaikovsky Competition in the Violin category have been announced! Results of the XV International Tchaikovsky Competition in the Violin category have been announced! Milyukov, Pavel; Conunova, Alexandra; Kim, Bomsori; Tseng, Yu-Chien; Kang, Clara-Jumi; Kazazyan, Haik. 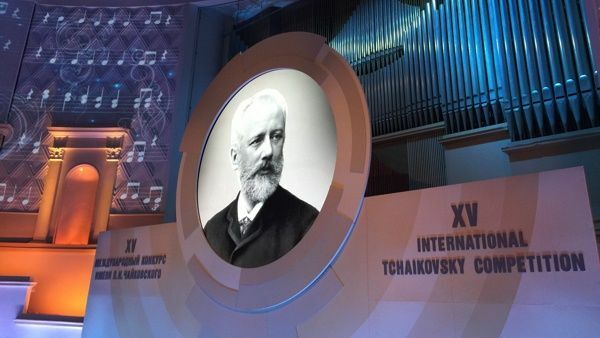 The XV International Tchaikovsky Competition in the Violin category was held on June 17-26 at the at the Small Hall of the Moscow Conservatory and on June 28-30 at the at the Tchaikovsky Concert Hall. Jury for the Violin category included: Yuri Bashmet, Salvatore Accardo, Liana Isakadze, Leonidas Kavakos, Maxim Vengerov, Vadim Repin, Boris Kuschir, Ilya Kaler, Maxim Fedotov, Vera Tsu Wei Ling, Roman Simovic, Nikolaj Znaider, Mihaela Martin, Victor Tretyakov, Michael Haefliger, James Ehnes.